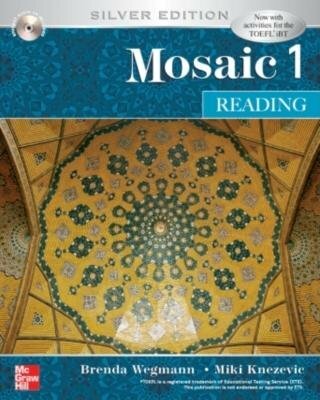 "Interactions/Mosaic Silver Edition" is a fully-integrated, 18-book academic series. Language proficiencies are articulated across five ability levels (beginning through advanced) within each of the four language skill strands. Chapter themes articulate across the four skill strands to systematically recycle content, vocabulary, and grammar. New to the Silver Edition Teacher-approved, contemporary, full-color design - for Interactions Access and Interactions 1 and 2 reading and Listening/Speaking - showcases compelling instructional photos to strengthen the educational experience. Up-to-date, engaging global content appeals to the sophisticated, academic audience for "Interactions/Mosaic." Enhanced focus on vocabulary building, test taking and critical thinking skills promotes academic achievement. Self-Assessment Logs encourage students to evaluate their learning. "Focus on Testing" stratgegies and activities for TOEFL iBT preparations build invaluable test-taking strategies. Skills index for each student book helps instructors match textbook content with curricular standards and objectives. Guided practice using a variety of graphic organizers provides students with organization tools for academic skill building. Best Practices approach in the "Teacher's Edition" promotes excellence in language teaching and learning. This is the intermediate to high intermediate level Reading student book with audio highlights.